The Institute’s campus is located alongside the main Dharma Drum monastery complex at the Dharma Drum Mountain World Center for Buddhist Education (法鼓山世界佛教教育園區) near the coastal city of Jinshan (金山). 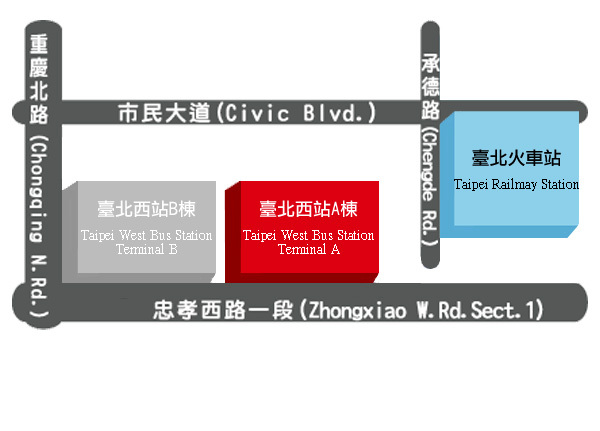 The easiest way to access the institute is to take the Kuo-Kuang bus (國光客運) N° 1815 at the Taipei West Bus Station, Terminal A (台北車站西站A棟) which should have Dharma Drum Mountain (法鼓山) displayed as it’s final destination (bus schedule). Upon arrival you may ask for directions from one of the volunteers at the Information Center or consult one of the maps made available for visitors. For other routes by bus or car, please refer to this page. No. 620, Fagu Rd., Xihu Village, Jinshan Dist.